The guests appear from an adjoining room after the final, ceremonial Grossvater dance, they all leave. The battle field empties. The only person left here is the Nutcracker who lies without moving on the floor. Marie, together with the dolls, hurries to his rescue. And now a miracle occurs…Before Marie stands a handsome youth, the Nutcracker-Prince. He walks forward to meet her. The walls of the house disappear. Marie and her friends are standing under a star-studded sky, by a fairy-tale Christmas tree. Snowflakes go round in a magical dance. Marie and her Nutcracker-Prince, beckon, as if to a beautiful dream, to the twinkling star at the top of the Christmas tree. They climb into a magic boat and set off for the top of the tree. The dolls follow behind them. Marie and Nutcracker-Prince are sailing in their magic boat through the Christmas tree kingdom. There are their friends, the dolls with them. The shining star is getting closer and closer. They are just about to reach the top of the tree when they are suddenly attacked by the mice and the Mouse King who have crept up behind them. Once again, the Nutcracker-Prince goes boldly into battle. Horribly frightened, Marie and the dolls watch the fight. 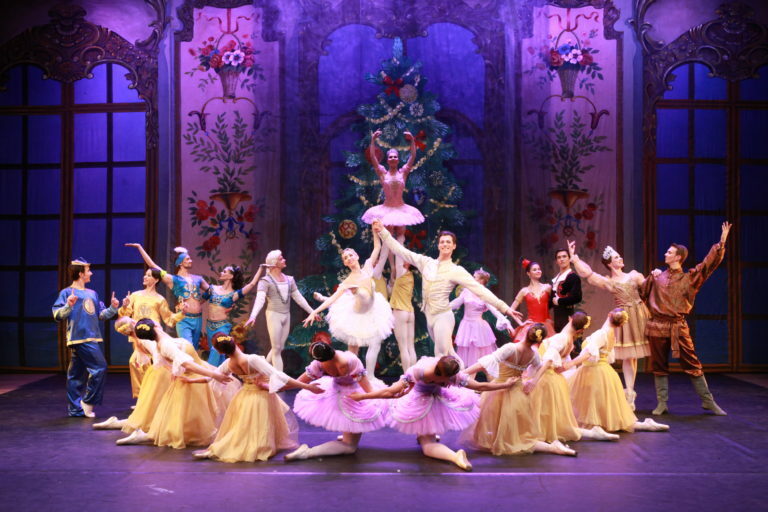 The Nutcracker-Prince vanquishes the enemy. Joyous victory celebrations are underway. The dolls dance, the candles burn even brighter, the Christmas tree comes alive. The evil mice have been defeated. 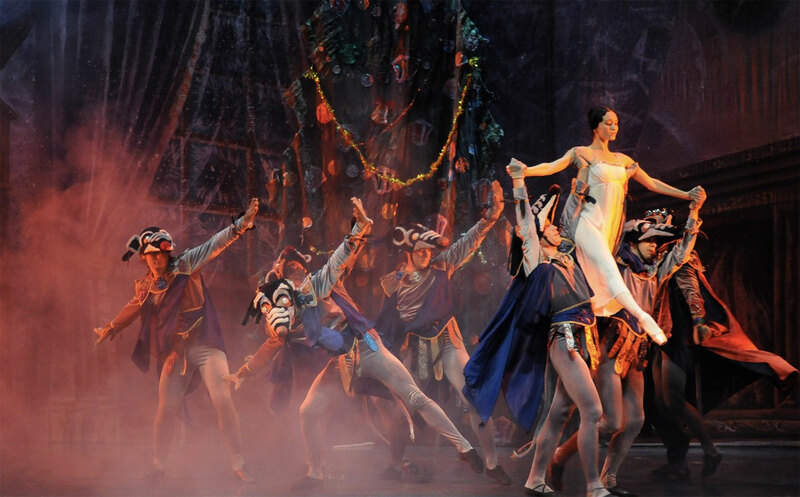 Marie and the Nutcracker-Prince are radiant with happiness — they have reached the kingdom of their dreams!